An emergency can occur at any time and there is hardly anything we can do to combat the situation. While sometimes, we are lucky enough to save ourselves in time but often, it can also be that we get caught in it so bad that there is nothing to do but just witness the damage. However, every cloud has a silver lining. So, even if there is a damage, there is also the scope of recovery. Fire breakout is also a dangerous tragedy which can devastate your property. However, if you every become victim to such an unfortunate tragedy, then you can opt for fire damage restoration services. We, at Musick Loss Management, can be the right choice for you. We are Chicago’s leading public claims adjusting and restoring firm. We can assist you to restore your house to its original condition. If you are from areas such as Chicago, Des Plaines, Glenview, Northbrook, Northfield, or Skokie, then you can rely on us. 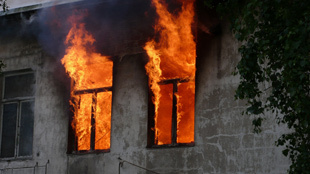 Here, we have put together a list of questions to ask a company offering fire damage restoration. Take a look. Before you choose a particular company to restore your house after a fire accident, you should make sure they are competent enough to do this job or not. So, ask about their license and insurance before hiring them. Can you provide a temporary shelter while the restoration is going on? While the restoration work goes on, if you don’t have anywhere else to stay, it is going to be a great inconvenience. So, you must look for a temporary housing and if the company carrying out the fire damage restoration can provide a place to stay, then it will be much help. So, ask about this too. After asking such questions, if you think we can be the right solution for you, call us at 773-529-9500 now.